Bruce Scott – Resource Concepts, Inc.
As one of the founders of Resource Concepts, Inc. (RCI) in 1978, Mr. Scott saw the value of combining resources and engineering in one firm. RCI was the first consultant in Northern Nevada to actively integrate resources and resource principles with engineering design. Bringing ideas such as soil characteristics, plant materials and precipitation patterns to the design of projects is reflected today in the development and specification of Best Management Practices, but in 1978 such integration was unique. RCI has grown as a firm offering many engineering, resource, surveying and environmental services. Mr. Scott has always emphasized providing our clients with cost effective sustainable solutions. His commitment to client satisfaction has resulted in many long-term relationships. He believes that always being accountable, addressing issues and concerns fairly, and treating clients honorably are important elements in building respect and reputation in our business and personal relationships. Mr. Scott heads one of the most active and well-respected water rights groups in the state of Nevada. Since 1978 he has represented hundreds of water right applicants, and filed thousands of documents with the Division of Water Resources. He is a recognized water resources professional who has been tapped by three different Governors to serve on the Nevada State Board for Financing Water Projects. Mr. Scott is a strong believer in the collaborative development, planning, and implementation of projects. This multi-disciplinary, resource-sensitive approach to projects is a founding principle of RCI. Mr. Scott serves as Principal and a member of the Board of Directors for RCI. He is active in the community as well as in his professional capacity. With his wife Beth, Mr. Scott enjoys competition carriage driving. As the navigator of the team he is able to use his technical skills, as well as lending support in other less technical aspects. 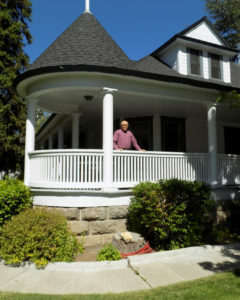 Mr. Scott has been active in the Carson City Community for many years. He has served as a member of the Board of Directors for the Carson City Senior Citizens Center for over 30 years. Another area of personal interest is the Open Space Program in Carson City. Mr. Scott was one of the original appointees to the Open Space Advisory Committee and continues to serve under appointment by the Carson City Board of Supervisors. He is currently the Committee’s Chairman. Other interests Mr. Scott enjoys are gardening, fishing, home projects, and his grandchildren.